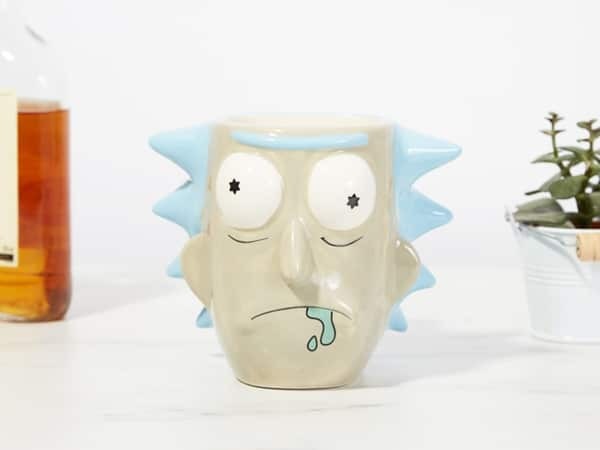 This is a mug that has been molded into the shape of Rick Sanchez’s head. He’s the uncle part of the Rick and Morty duo that is probably best described as a genius misanthropic alcoholic scientist. You know, a lot like your uncle – but probably a bit smarter and older, if you can actually compare a human to a cartoon character who likes to time travel. Considered one of the most interesting of the Rick and Morty Collectibles, that gives it an edge over most any other drinking mug you may own. Well, that and the fact that it looks like a giant cartoon head. Regardless, you’ll have the gang at work or school wondering what sort of evil plan you are plotting when they see you sipping from this very unique and highly interesting mug. This unusual and special drinking mug feature three-dimensional shaping that looks like Rick’s head. 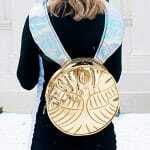 It has been completed with hand-painted details and comes complete with a handy gift box. It can hold a total capacity of 500ml which is roughly enough coffee to give you a substantial kick start to your day. The mug is not suitable for dishwashing machines so you’ll have to hand wash it the old fashioned way but that’s going to keep it looking like new when you use it!